While individual consumers may not give much thought to why they prefer one product over another, for businesses and marketers who make a living based on consumer demand, it is pretty much a science. In addition to a product's price and its availability, knowing consumer preferences can predict how likely a product is to sell and how much it can be sold for. Preferences vary from one product to another and the components of those products can each affect preference. Consumer preference is defined as the subjective tastes of individual consumers, measured by their satisfaction with those items after they’ve purchased them. This satisfaction is often referred to as utility. Consumer value can be determined by how consumer utility compares between different items. Consumer preferences can be measured by their satisfaction with a specific item, compared to the opportunity cost of that item since whenever you buy one item, you forfeit the opportunity to buy a competing item. The preferences of individual consumers are not contained within the field of economics. These preferences are dictated by personal taste, culture, education and many other factors such as social pressure from friends and neighbors. For example, someone who prefers to own a specific brand of a smartphone because her friends all have the same brand. People often prefer some aspects of a product, but not others. When comparing sofas, the color, fabric and size of the sofas can each have an impact on consumer preference, as well as the number of extra cushions they have. Not all of these aspects carry the same weight. When comparing two restaurants, for example, you may prefer the food and the ambiance of one over the other, but having a rude waiter at one restaurant may cause you to prefer the other restaurant overall. While consumer preference is an indicator of consumer demand, it’s important to note that consumer choices are not always determined by preference alone. Choices are often limited by a consumer’s income or budget, compared to the cost of the item, which is why so few people drive luxury cars or fly first-class. Why Is Consumer Preference Important? Because consumer preference determines what products people will buy within their budget, understanding consumer preference will give you an indication of consumer demand. This information will help to ensure that you have enough product to meet demand and will help you determine the price for your product. If, for example, your company makes dresses, knowing what women prefer in a dress will help you determine which colors and fabrics will sell better than others, as well as whether shorter hemlines will sell better than longer hemlines. If your products are comparable to more expensive brands, you may be able to sell them at a higher profit. On the other hand, if your competitors offer similar dresses for less money that are also preferable to yours, you may need to reduce production, change the design or reduce your profit to ensure you aren't left with too much inventory at the end of the season. As the preference for one product over another increase, one product may outsell the other even if the price is much higher. However, when the preference is negligible, then price and availability become the determining factors over which one will sell better. When it comes to consumer products, change is always a constant. Before smartphones arrived on the market, for example, most people preferred small cellphones that they could put in their pockets over larger handsets. With the advent of touchscreen keyboards, many people today prefer larger phones over small ones. In 2018, there are a number of trends being seen across different product markets that show no signs of slowing in the next couple of years. As the American population ages, a growing number of people are turning towards products that are geared towards activity and longevity, which represents a $7.6 trillion opportunity for the right products. Nike is one company that is already catering to this growing preference, marketing to 55-year-olds who are trying to keep as active as they were in their 20s. New Balance is also targeting this market by offering footwear designed for people with sore feet. Years ago, a child's influence on a parent's purchasing decisions was limited to toys and children's wear. Today, however, parents are asking their children for opinions more than ever, including what kind of car would best suit the family, where to go to dinner and even what clothing the parents should buy for themselves. As a result, clothing retailers are putting more emphasis on their children's departments. Their strategy is that once the children bring the parents in for the children's clothes, they may see something they think their mother or father should buy in the adult's section. In addition to getting older, Americans are also getting larger. In 2017, more than one-third of adults and one-in-six children were obese, a trend that is only expected to increase. These consumers know that just because they are larger, wider or thicker than the average customer, it doesn't mean they shouldn't have well-fitting clothes. Consequently, consumers are showing a preference for a larger selection in clothing sizes. Currently, Levi Jeans is catering to this growing preference by offering custom-fitted jeans. Regarding the online shopping experience, one-week delivery times are now passé. More consumers are developing a preference for nearly instant gratification. Supermarkets are now offering same-day delivery, while Amazon is developing an army of drones that will be able to deliver online purchases just as quickly. When it comes to the in-store shopping experience, Amazon is also testing stores without cashiers. Shoppers simply fill their baskets, and when they leave, the purchases are automatically scanned and billed to the customers' phones. 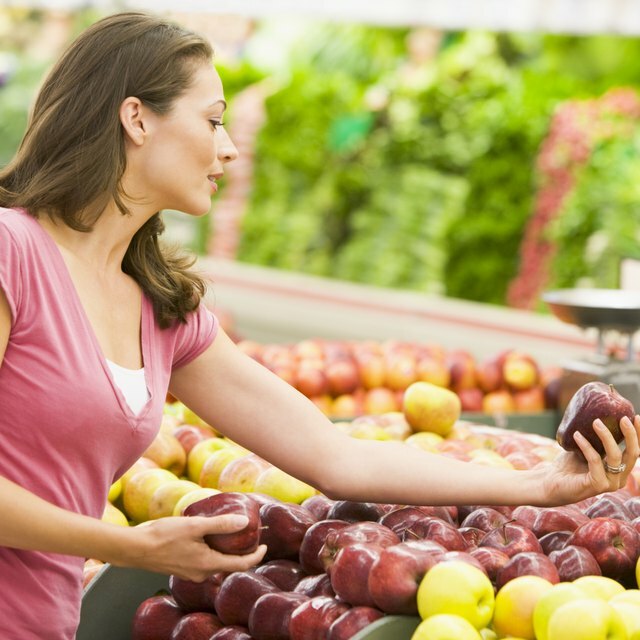 To determine what consumers prefer, you have to give them similar products to compare. When offering them two or more products to evaluate, each product should be complete. Asking them to compare apples to oranges is fair, but asking them if they would rather have six apples or two oranges is not. One preference that does not change when evaluating commodities is that consumers always prefer more to less. As well, if consumers prefer product A over product B, and they prefer product C to product A, then it is always safe to assume they prefer product C over product B, too. A common way to determine consumer preferences is to create a consumer panel. A company may do this itself or by hiring a market research organization. The panel is typically selected based on the demographics you hope your product will appeal to. There are four different ways to determine preferences with a consumer panel. Preference testing is useful when you want to compare one product to another. The consumers are given two or more products and asked which they prefer. Once their preferences, or lack of preference, are recorded, you can then analyze the results to determine which product is preferred. You cannot, however, determine how much each product was liked using this method. Acceptance testing can determine how much a product is liked. Instead of stating which product is preferred compared to others, the consumers are asked to give a score to each product based on their like or dislike for it. This test is also called hedonic ranking. Usually, the scoring system is based on a nine-point scale, ranging from extreme like to extreme dislike, with neither dislike or like in the middle. Depending on the products being evaluated, you can ask for different scores for different properties, such as physical appearance, color or other attributes. A third way of determining consumer preferences is to use a ranking test. Ranking tests are usually best for comparing consumer preference between three or more products, which the panel ranks according to their preference. A ranking test does not reveal how much more consumers like one product over another. As its name suggests, difference testing measures how well consumers can tell the difference between two products. For example, if your company has developed a new soda, you could ask consumers to compare it to a previous version you sold, as well as to similar competitors’ sodas, for aspects like sweetness. While this test itself doesn’t reveal preferences, it can provide insight into products when used with any of the other tests. Anyone selling consumer products must be aware of the demand for those products and how consumer preference affects that demand. Small business owners seldom have the budget to conduct thorough study panels, but there are other ways to determine consumer preference in your market. Subscribing to trade publications and creating news alerts for trends in your market online can help you leverage the studies that have been conducted by larger organizations at no cost to you. The most direct way to determine consumer preferences is to listen to your current customers. Consider each online review, each email and each complaint as a sort of case study of your target market. If you sell blue handbags and you get feedback from numerous customers asking if you have the same item in red, this could be an indication that many others would prefer red handbags as well. If you have developed an email list of your customers and prospects, it may be worthwhile to solicit their opinion on the colors you could offer them. As well, online surveys are an inexpensive way to determine preferences. Suppose you have asked your customers directly and received survey responses from visitors to your website asking them about six different colors for the same handbag, and you determine that these consumers prefer red handbags to blue at a ratio of two-to-one. This survey has given you the data to justify adding the new color option to your line of products. In addition to this, you should also examine how other preferences can affect your business. For example, consumers always prefer faster delivery over slower delivery times, as well as free shipping over extra shipping fees. If you aren't in a position to offer free, next-day delivery, perhaps you can offer a choice to your customers: free delivery in one week, or next-day delivery for an additional $5 charge. Finally, the trend in consumer preference for customized sizes in clothing may be something you can transfer to your business by offering choices in handbag sizes, or by offering customized initials sewn into the handbags. By understanding changes in consumer preferences as they happen, you can meet changes in demand as they begin to happen, rather than waiting to see how larger companies are changing their products and following their lead after-the-fact.